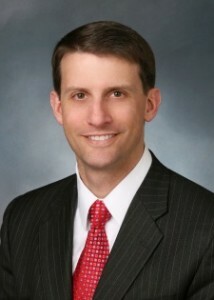 Steven J. Duffield founded Endgame Strategies in 2009 after more than fifteen years of experience at the intersection of public policy, politics, law, and business. Founding the firm was the culmination of his service as a senior leadership staff member in Congress, a senior advisor within a national political party, a corporate and constitutional litigator in an international law firm, and a client-focused small businessman. Steven’s experience on Capitol Hill included service as policy director and chief counsel for former Senator Jon Kyl when he was Chairman of the Senate Republican Policy Committee and the Senate Republican Conference. Steven managed those leadership offices’ policy functions and worked closely on legislative strategy, coalition building, floor amendment tactics, and message development. He also worked regularly with counterparts in the House of Representatives. Steven’s leadership perspective led to a deep familiarity with Senate rules, precedents, and norms. Steven earlier worked in the policy committee as an analyst focused on the Judiciary Committee, handling issues such as legal reform, bankruptcy, law enforcement and national security, judicial nominations, and constitutional matters. After his service in the Senate, Steven accepted a position as executive director of the Republican Platform Committee, overseeing the political process that resulted in the unanimous adoption of the party’s platform in 2008. Following the completion of the platform, Steven joined the then-RNC Chairman’s senior staff to advise on policy and legislative matters. Steven’s public policy and political service was built upon earlier work in law and business. Before going to Capitol Hill, he was a litigator for the international law firm of Mayer Brown. Key matters included multi-billion dollar employment class action defenses for retail and restaurant industry clients, industry briefs in the U.S. Supreme Court, a challenge to an international oil and gas arbitration, a multi-billion dollar government contracting dispute, the criminal defense of a major accounting firm, and a lengthy pro bono representation of an indigent defendant. Prior to law school, Steven worked in the residential mortgage industry, both by managing a small business in his native San Diego, and through association with the nation’s largest mortgage lender. He developed a client-focused orientation early and has applied it to each successive endeavor. Steven earned a law degree from The University of Chicago Law School, where he served on law review and published on constitutional law. After law school he served as a judicial clerk in Anchorage for Justice Robert Eastaugh of the Alaska Supreme Court. Steven did his undergraduate work at Georgetown University, where he graduated Phi Beta Kappa. He is licensed to practice law in the District of Columbia.